Maria, a single mother of two children, ages three and seven, came to Centro for counseling for depression. During her initial session, she revealed that she and her children had been spending nights at friends’ homes because the electricity service in her apartment had been disconnected two months earlier due to her inability to pay. Centro immediately partnered with a community agency on her behalf, obtaining assistance for payment of the electric bill and two months’ rent. Additionally, the family was provided with a generous food donation. During ongoing counseling sessions, Maria continued to overcome her depression and was referred to additional community agencies for help with other needs. Today, the family is doing well; the children are receiving child support, and Maria is enrolled in the local community college and working full time. 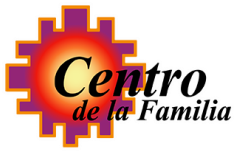 Centro served as an anchor for this Hispanic family by providing information and resources to assist the Maria in meeting the challenges of living in a diverse culture. Alberto, a military father, participating in Crianza con Carino parenting classes was using the same type of disciplinary techniques used with the soldiers under his command, such as yelling, humiliation, and criticism to effect change in his children and control their behavior. Through his successful participation in the Crianza con Carino classes, he came to understand the need to parent in a nurturing, supportive manner while disciplining his children. As alternative approaches replaced yelling and hitting, his nine-year-old son began exhibiting fewer signs of depression, such as suicidal ideations, feelings of abandonment, shame, and loneliness. As Alberto continued applying more positive techniques, his son’s academic performance improved. Lusito, a six-year-old boy, presented with a withdrawn personality when he first attended Crianza Carino (Parenting with Affection). He would not interact with the group instructor. During the second week session, he whispered a couple of times to the instructor, to asking her to share information on his behalf. After a few additional weeks of therapy, during a lesson about safe and unsafe situations in their home, the children were asked to draw a picture. Lusito shared his drawing with the group, opening up with an extensive vocabulary, describing the violence in his home. The group talked with him about his fears. In the following group sessions, Lusito continued to relax, open up with the group facilitator and other children in the group, making significant therapeutic progress.